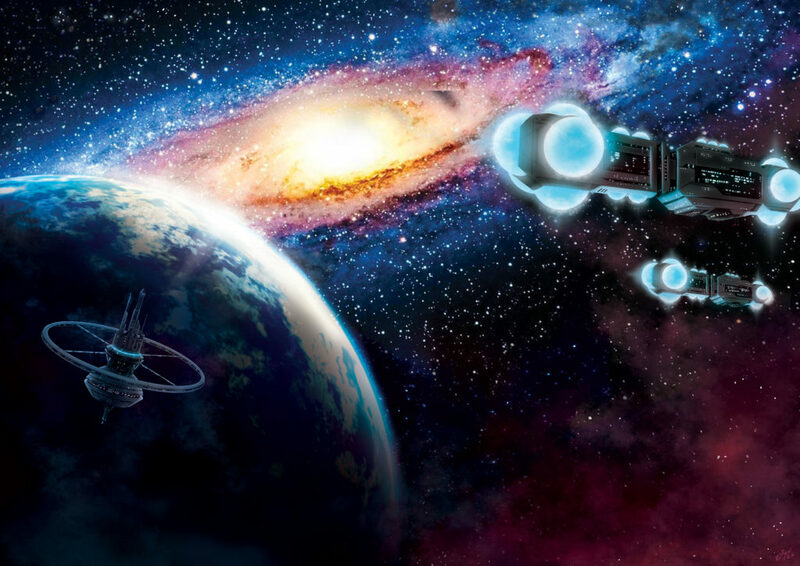 Galactic Era is an epic space civilization board game (also known as 4X game). 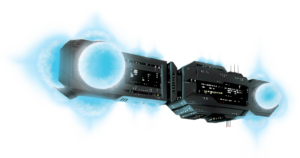 Each player controls a fledgling spare-faring civilization ready to venture out into the Galaxy. 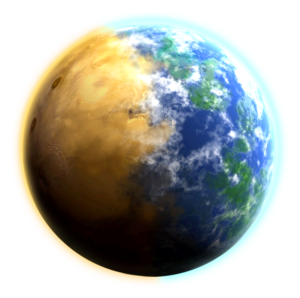 You will discover and take over new planets, advance your technologies and battle your enemies. Players on the “light” side must play more peacefully. You will thus be more trustworthy to others. You can also easily ally with any advanced civilizations you discover. As player on the “dark” side however, you have the freedom to be as aggressive as you want. You can also switch your alignment during the game at a cost. The amount of luck involved is very low. Combat is deterministic (no dice). This gives the game great strategic depth and rewards long-term planning. 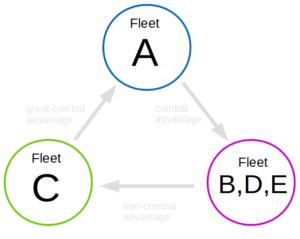 Great tactical choices are also given by the individual fleet capabilities which have advantages over each other in a rock-paper-scissors fashion. This means no one tactic always works. Gain epic powers by increasing your technology levels. You can get new technology levels in are many different ways. You can research, trade or steal them or even discover them while colonizing new planets. The highest levels are very powerful. You can have super-armed spaceships, or travel anywhere instantly, or have invincible population. Gameplay is very different depending on which path you choose. The Galactic Era is the greatest cycle of time. Beings of the light incarnate to experience the material world. They create great civilizations to explore and conquer the Galaxy. The greatest one will determine the destiny of the Galaxy, before returning to the light. The cycle consists of three parts. First, an era of light occurs. Civilizations of light and growth are fostered. This is followed by an era of darkness. Now civilizations of darkness reign supreme and conflicts rage. The third era supports the return to light again. The final discoveries in knowledge are made. It is the beginning of the cycle and you are such a being. You are leading a fledgling space-faring civilization, ready to expand into the Galaxy. Before meeting others you will need to decide your morals. Will you respect others and cooperate peacefully, or will you exploit others for your own gain? Will you bring darkness or light to the Galaxy? You win by scoring the most “destiny points”. You mainly do this by having a large population and fulfilling various conditions and goals. You take turns moving spaceships, exploring new worlds and fighting battles. Everyone simultaneously picks two actions to expand their space civilization. This is how you get new technologies, more stars, population and ships. 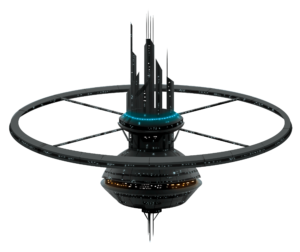 You can then also trade technologies with other civilizations you are in contact with. This dealing is something a lot of players enjoy. At the end of every round you score points. Every round belongs to one of three eras. Scoring is different in each of these eras, offering entirely different incentives and rewards. Our current plan is to launch a Kickstarter campaign in November 2019, then produce and deliver the game by mid 2020. If you wish to be notified about the latest developments please signup for the newsletter or join us on Facebook, Twitter or Reddit. An elegant, German game design creating great strategic depth and covering all the essential elements of a 4X game, yet also highly thematic and holistic. Many paths to victory, including both peaceful and warlike ones. The game’s goals vary a lot, depending upon setup. Your alignment determines how you can interact with other players. “Light” (STO) players cannot fight other STO players at all and cannot declare war on STS players without sufficient cause. They must also leave planets with primitive civilizations alone. “Darkness” (STS) players on the other hand can choose to be as aggressive as they like and can subjugate primitive planets. Either alignment can be equally effective. Develop your civilization in five different technology fields: Military, Spirituality, Propulsion, Robotics and Genetics. The highest level in any of these fields gives you epic powers. You can usually only reach that in one field though and only with a lot of effort. Cooperate with other players by trading technologies. Choose from 15 different races/groups to play with. Each one has a unique power. Many even have two, namely a different one for each alignment. See the race guides on this website for details. Combat is deterministic and quickly resolved. 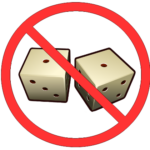 No dice are used. Hidden fleets create uncertainty and fog of war. You can also give your fleets different tactical capabilities. They have advantages over other fleets in a rock-paper-scissors fashion. Each player has unique secret objectives giving surprise powers and encouraging different avenues of play. A detailed and rich background story based on testimony of secret space program whistle-blowers, UFO/ET witness accounts and channeled material. See the background section of this website for details. A more detailed background booklet will be included the box.